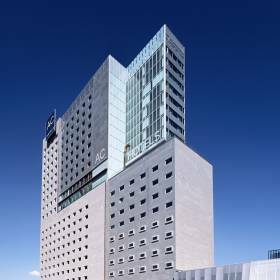 AC Hotel Barcelona Forum is located in the District 22@ of Barcelona in what is becoming a thriving business area, near the Forum Building and the International Convention Centre. Our urban hotel with 368 bedrooms is equipped with all the facilities and conveniences that AC Hotels are renowned for. For your convenience, Wi-Fi Internet connections have been introduced throughout the communal areas of the hotel. Stay in shape with the fitness center, or enjoy the services of our Turkish bath or sauna. Let us help you relax with one of our spa offerings. Enjoy a comfortable dip in our outdoor swimming pool with views overlooking the city of Barcelona. Indulge in fine dining at the AC Hotel Barcelona Forum restaurant, Dia & Nit, where you can enjoy a Mediterranean menu designed by chef Llorenç Valls. Our Barcelona hotel offers numerous spacious rooms designed and equipped for holding all kinds of seminars, conferences and any other events requiring the services of one of Barcelona’s best hotels. AC Hotel Barcelona Forum offers guests 18 exquisitely designed meeting rooms for successful events.Barcelona facilities that are unique for business presentations and business meetings or events.Our diverse rooms are fitted with all the technical and AV equipment your Barcelona event needs.